Sorry, the prefabricated large shelf (95020) is sold out! An alternative would be the construction kit of the large shop shelf (40090) together with the Pharmacy drawer labels (95080). Extensively wrought wall-mounted shelf with 9 drawers and attached drawer labels. The drawers are imitations and therefore can not be opened. 24.5 x 23.7 x 3.6 cm (HxWxD). 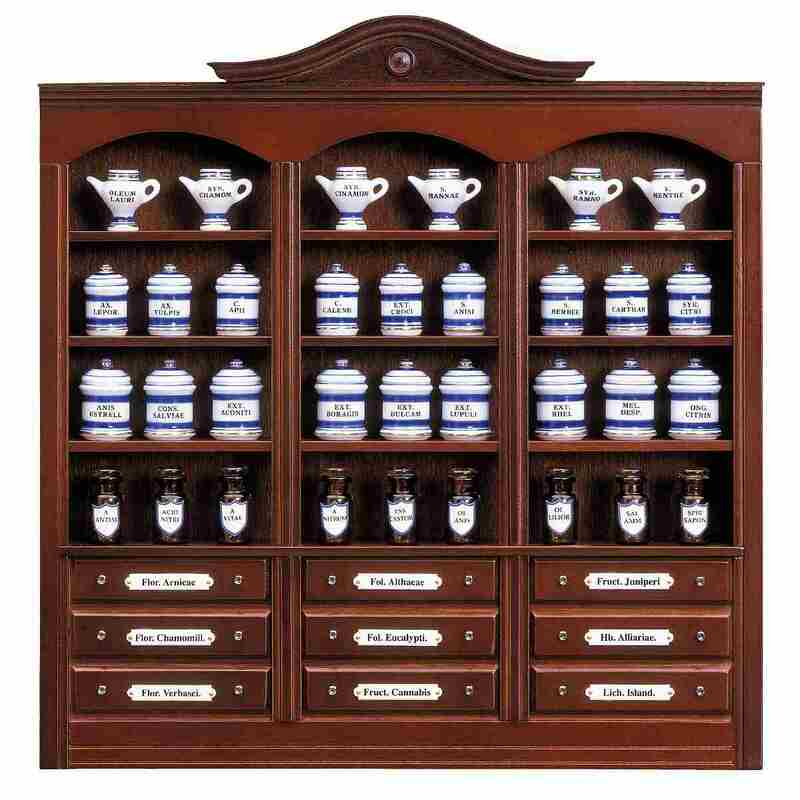 The 18 pharmacy pots, made from genuine porcelain with Latin lettering in cobalt blue and golld, plus the 6 syrup jugs (15406), shown in the picture, are not included but they are all together available under item number 15405. The same goes for the 9 brown glass medicine bottles that are available under item number 15425.